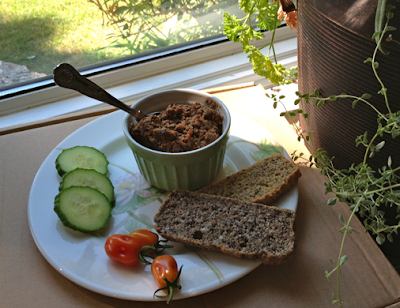 Eat Live Grow Paleo : Paleo Beef Liver and Bacon Pate .... for those who hate liver ! 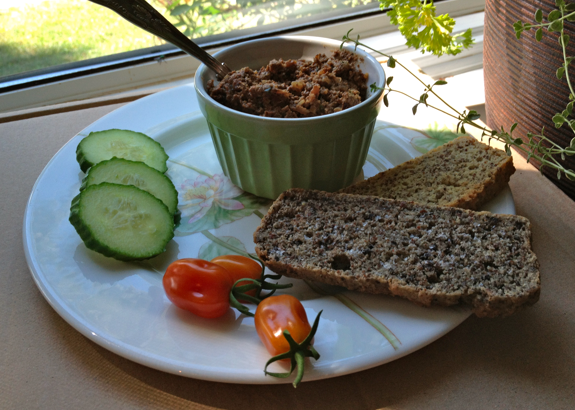 Paleo Beef Liver and Bacon Pate .... for those who hate liver ! Beef liver is a super food. 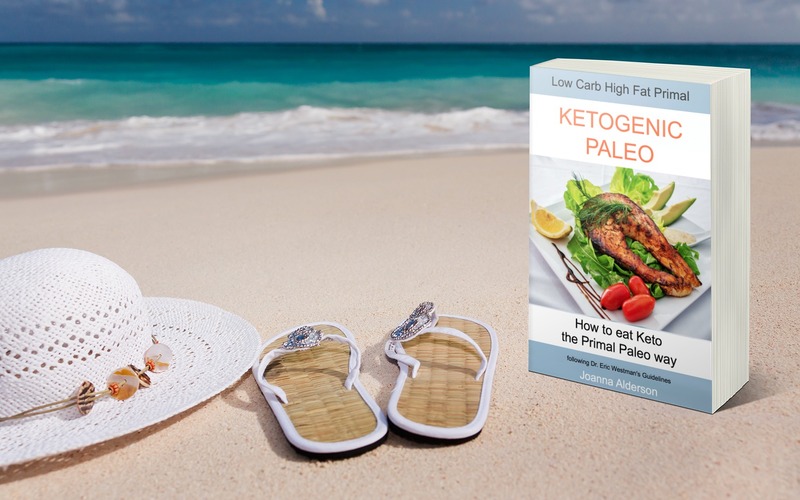 Full of Vitamins A and K2, it is recommended by many doctors and nutritionists. In fact Dr. Paul Jaminet, the writer of the Perfect Health Diet (and a man who has spent over a decade in an in-dept study of nutritional needs), recommends that we all eat 1/4 lb. 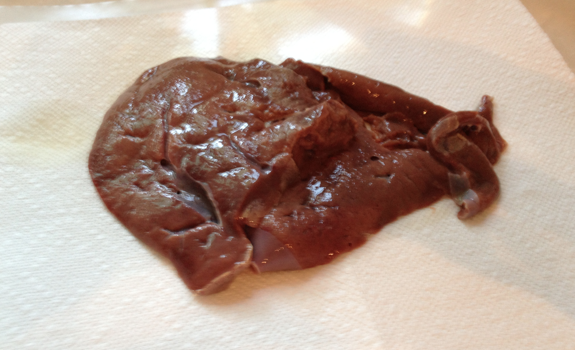 of beef liver per week. Which makes it the perfect Paleo food except for one thing. Many people - including myself - absolutely HATE liver. So how can you get all the benefits without grossing yourself out? Here is the perfect recipe. 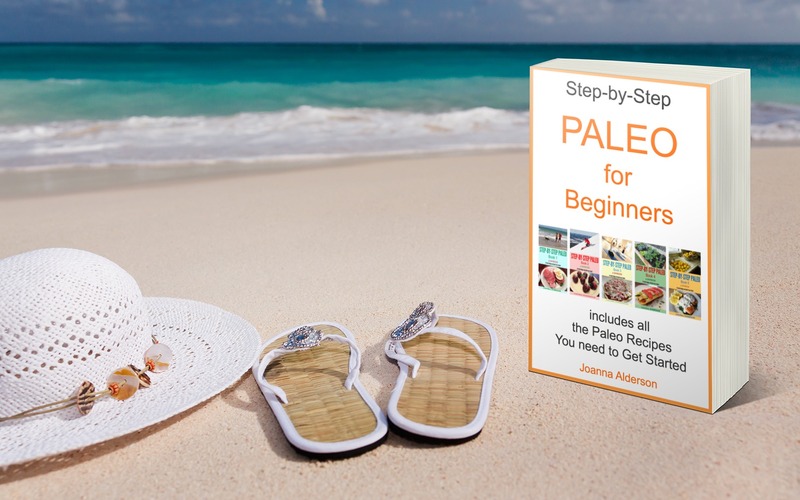 After doing a lot of research on liver cooking methods online, I decided the recipe I found at autoimmune-paleo was the best for my needs - with a few additions of my own. The nice thing about this recipe is that you only have to cook it once every 4 weeks. That's only 13 times a year. Very important when you're dealing with a food that turns you off. 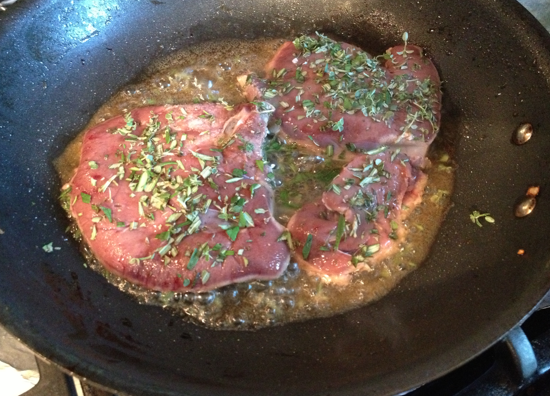 Also, your kitchen will smell more like bacon and herbs rather than liver - a major plus as far as I'm concerned. Here is the ingredients list, followed by step-by-step directions - with lots of photos. 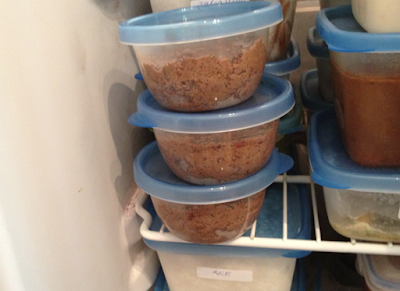 You need to start this the night before you want to make the pate. 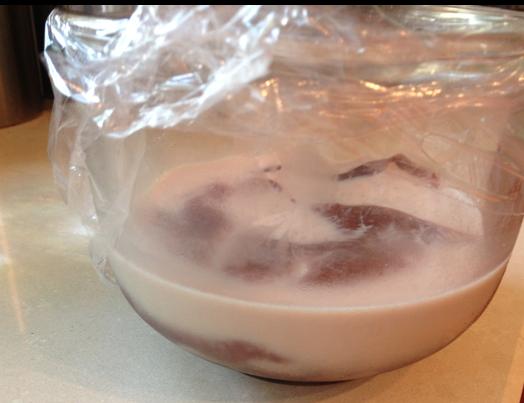 Put the beef liver into a small bowl, cover it with milk (or 1/2 cream and 1/2 water) and plastic wrap, and put it back into the fridge. 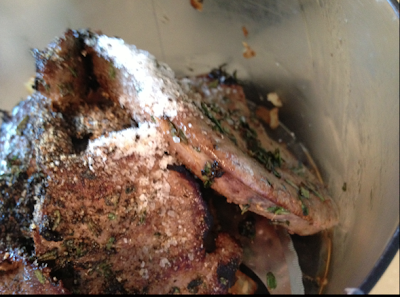 The overnight soak will go a long way to toning down the liver taste. I know. 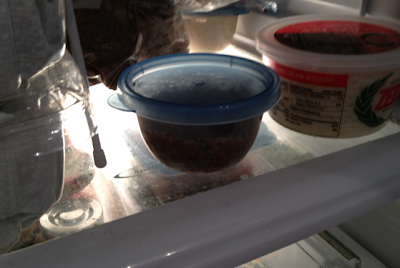 It looks horrible, but just close the fridge door and forget about it. When you are ready to make your pate, first fry all the bacon until crisp, then place on paper towels to cool. Drain the drippings into a small bowl, leaving a couple of tablespoons in the pan. 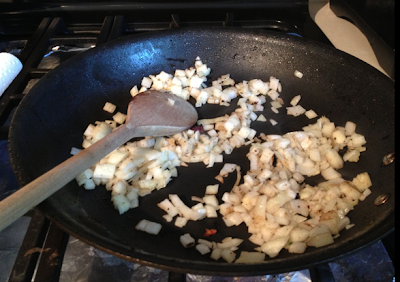 Add the chopped onions to the pan and cook for a couple of minutes while stirring. Add the chopped garlic and give it one more good stir, then remove from the heat. Don't overcook the garlic as burned garlic doesn't enhance the flavour of anything. 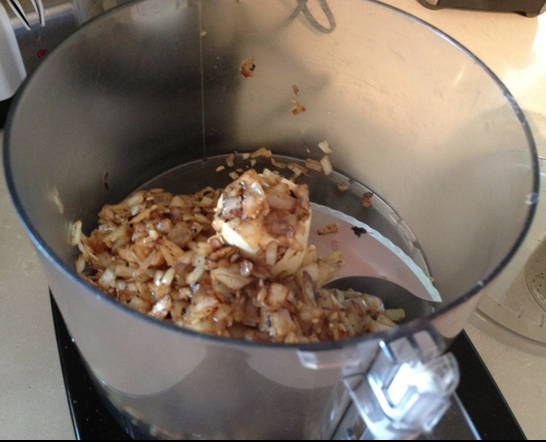 Put the onion and garlic mixture into your food processor. Now you're going to deal with the liver. Never fear, this is a no-touching-required method! First lay a few layers of paper towel on a piece of parchment paper or wax paper. 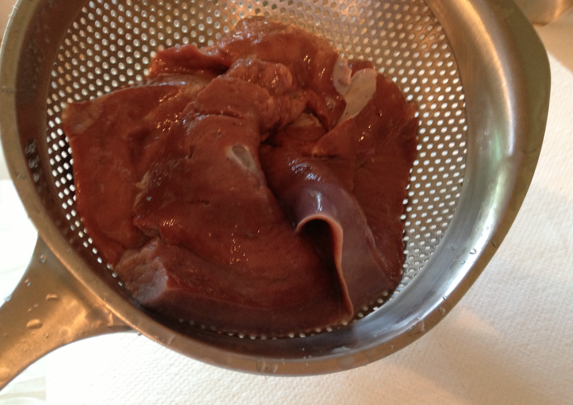 Next, drain the liver, then give it a good rinse with water. 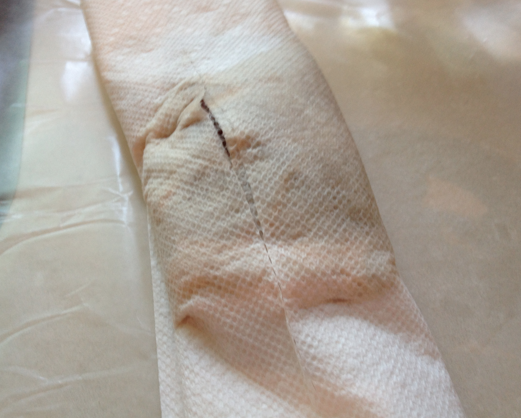 .... and wrap it so it has a chance to dry out a bit. Cook for a couple of minutes, then flip the liver and sprinkle the other side with the rest of the fresh herbs. 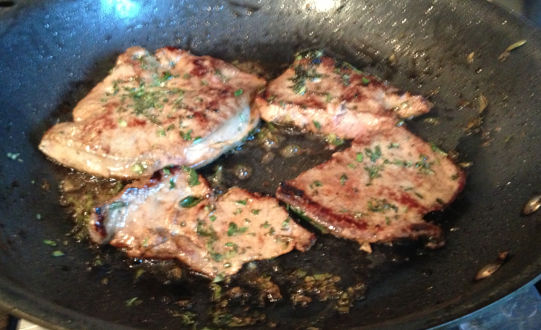 Continue cooking for about 5 minutes until the liver is no longer pink inside. At this point, if you want to use the brandy, add it to the pan and cook for a couple of minutes more. 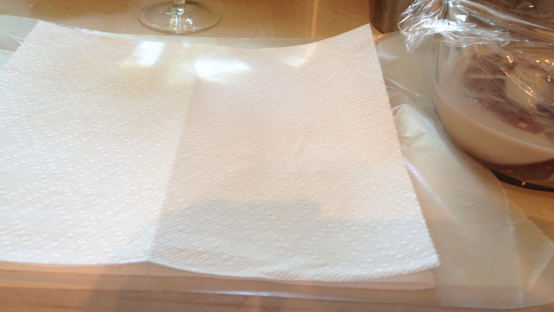 This will allow the alcohol to evaporate and just leave you with the great flavour. Add the cooked liver to the onion mixture in your processor with the salt and pepper, then process. 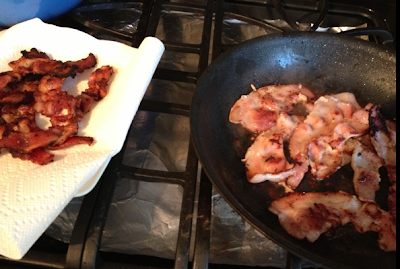 Add a bit more bacon drippings until you get a relatively smooth consistency. 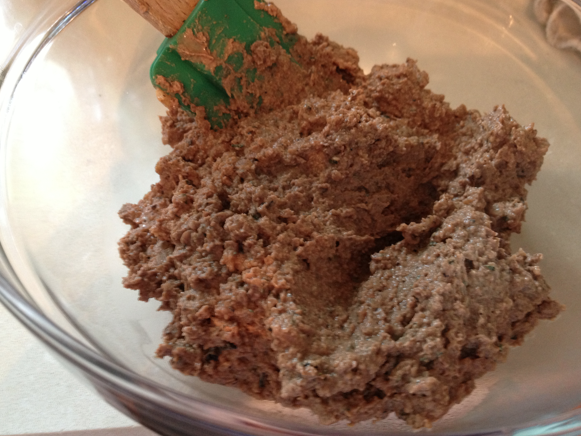 Put this whole mixture into a medium-sized bowl. 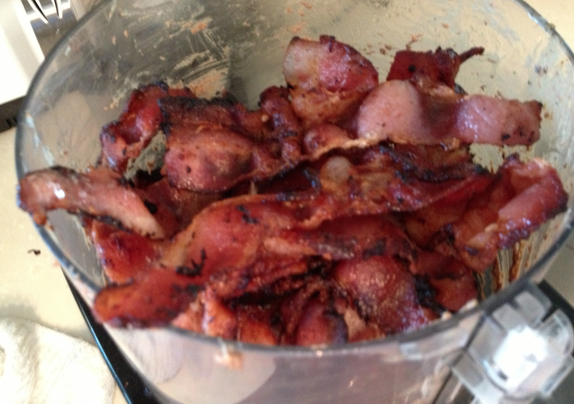 Now put the cook bacon into the processor and pulse a few times until it is coarsely chopped. 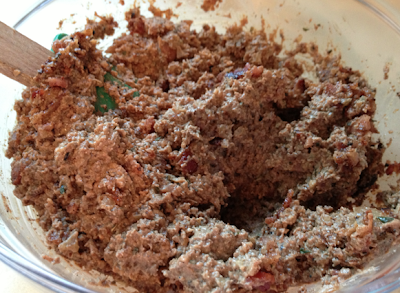 Add the chopped bacon to the pate mixture and mix until well combined. At this point you now have 4 weeks worth of pate. 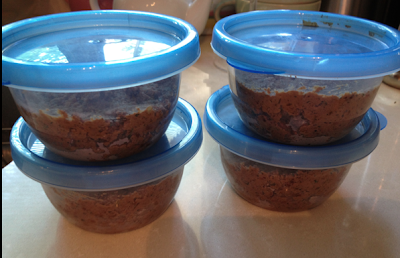 Divide it up into plastic containers. .... and put the rest into your freezer. You can then take them out as you need them. 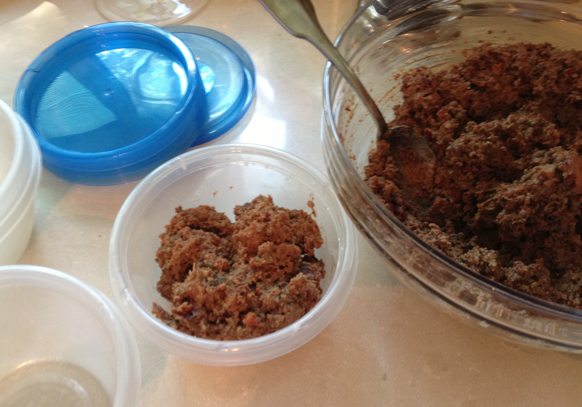 Now I have to admit that in this recipe there are A LOT of ingredients to disguise the liver flavour. All that bacon, fresh herbs, and brandy (if you use it) will definitely do the job. Those who like liver probably won't need to go to this extreme but for us liver-phobics, this is a great way to make getting our weekly vitamins a lot more palatable. What you will be left with is a terrific spread that you can use as an appetizer, or spread under sliced meats for a sandwich. A lot of people like it on cucumber slices. I personally love it on my Paleo bread recipe, especially the olive version. Wow, that looks wonderful-- but avoidant, hahaha. I made kidney pot pie once and it was weird. Hi---do you think this would work without soaking it in the milk first? I'm allergic to casein.